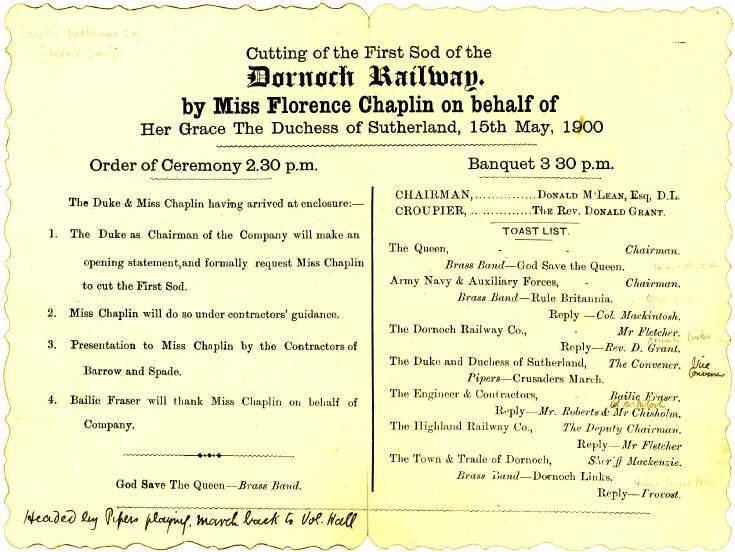 Invitation card to ceremony of "Cutting of the first sod" of the Dornoch Railway, 15th May, 1900; contains order of ceremony and toast list for banquet; list of guests and order of procession written on reverse side. One side printed in black on cream card with gold deckled edges. Reverse covered with handwritten notes and marked "Secretary's copy". First sod to be cut by Florence Chaplin on behalf of the Duchess of Sutherland.